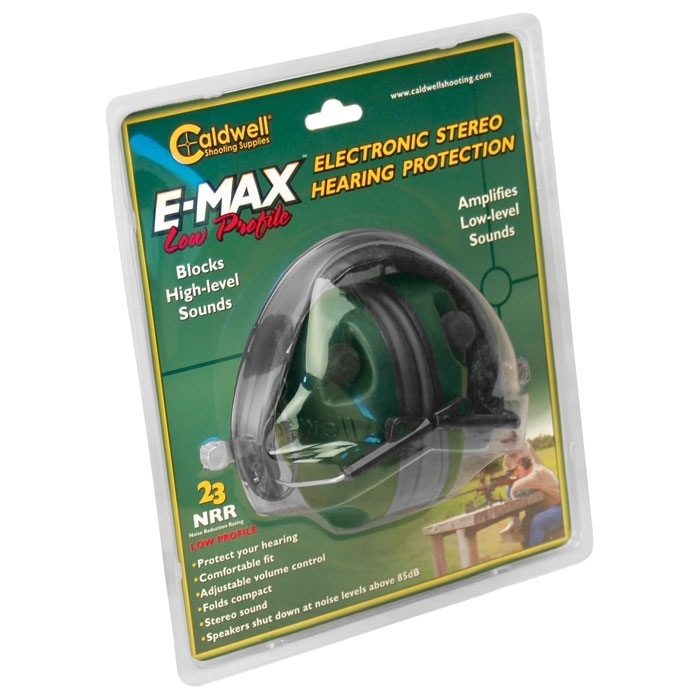 Caldwell E-Max LP Electronic Ear Defenders. The low-profile E-MaxTM hearing protection combines great circuitry with a low profile earcup that's ideal for shotgun shooters and action shooters. The two microphones in the E-MaxTM amplify sounds below 85 decibels, which amplifies normal communication, range commands, and environmental sounds. 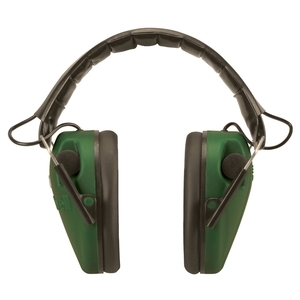 Above 85 decibels, the microphones shut off for a split second to protect the shooter's hearing.Two microphones - one in each cup - give the user true stereo sound and allow the user to identify the directional source of a sound. Includes an integrated audio input jack allowing music to be played. Runs on 2 AAA batteries (not included). Not used yet seem decent enough. Decent product for the price. 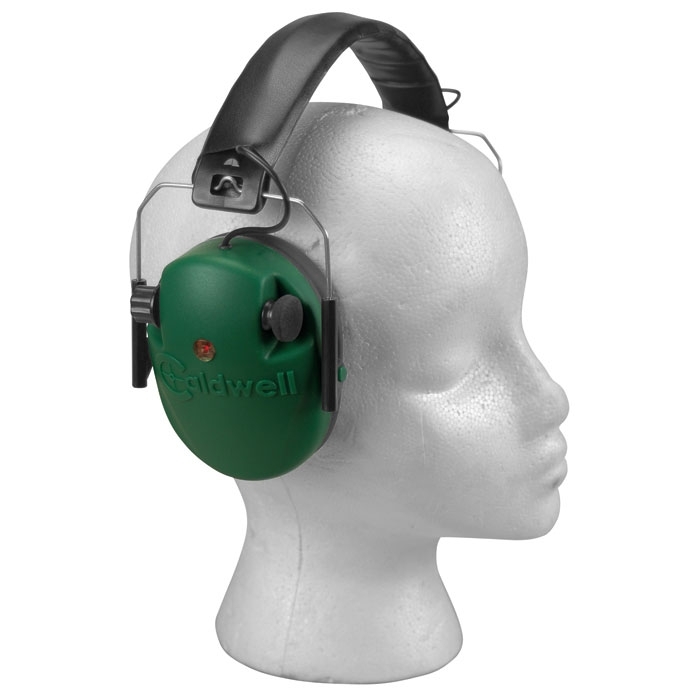 Bought for my Wife when shes shooting so Ive not tried them but Shes pleased with them.